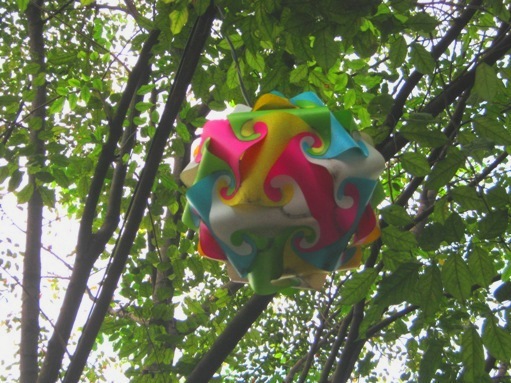 I saw many hanging lanterns around a small recreational park in my city. I captured one which has yellow touch on it. Very colorful!Must have been a wonderful sight to see all of them hanging there. Yes, really awesome colors in this lamp, beautiful photo! You got all the primary colors here. The geometry of the lamp, with the pieces all cut the same and fitted skillfully together, is very interesting. I like the colors too.